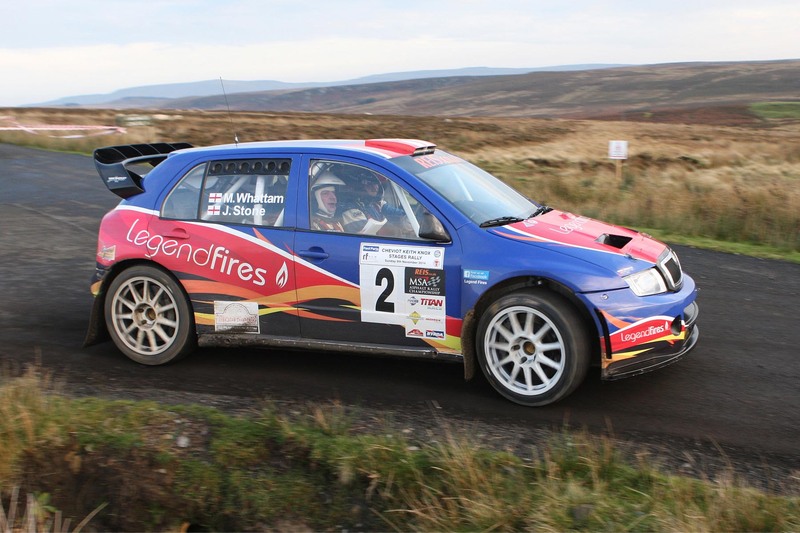 Blackburn driver John Stone did what was required of him to clinch a deserved runner-up place in the 2014 REIS MSA Asphalt Rally Championship on the final round the Cheviot Keith Knox Stages Rally at Otterburn. Driving the Legend Fires Skoda Fabia WRC, Stone had just to finish in the top four to claim second in the championship, and despite the damp and tricky conditions on the military ranges near the Scottish border, he brought the Dom Buckley Motorsport IRS-prepared car home in third position following nine stages. Third fastest on the opening stage, the plan for Stone and co-driver Matt Whattam was to maintain station which they did as ahead of them Damian Cole and Simon Mauger battled it out. However, despite third place being in the bag, Stone, who led the series earlier in the season, pressed on and set second fastest time on two of the final three stages to arrive back at the finish just over two minutes down on the winner. This result added to a consistent string of top five finishes this season and bettered the fourth place finish on John’s previous visit to Otterburn earlier in the year. As a result, it saw the Lancastrian driver achieve his aim of finishing in the top three in this year’s championship.